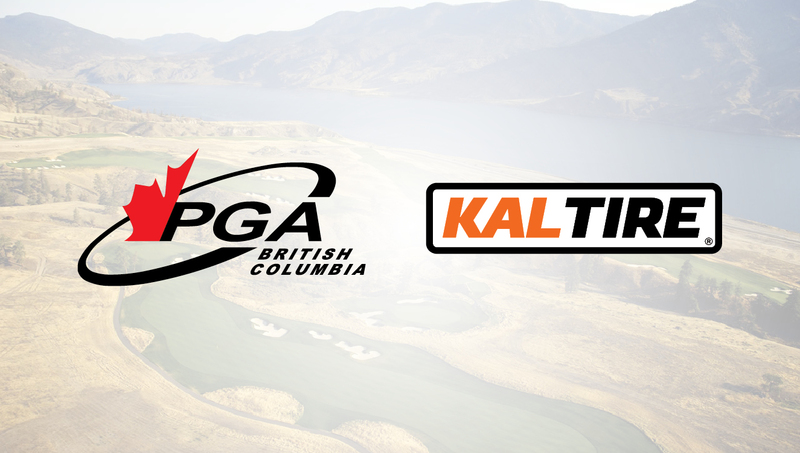 RICHMOND, BC (PGA of British Columbia) – The PGA of BC is proud to introduce Kal Tire as the Association’s newest Preferred Partner. As part of this Silver-level Preferred Partnership, Kal Tire will also be a contributing partner to the PGA of BC’s Canucks Junior Golf Week. Kal Tire, Canada’s largest independent tire dealers, have a rich history in British Columbia dating back more than 65 years, and have more than 60 locations in communities across the province. The company was founded in 1953 in Vernon, where the company’s corporate headquarters remain today. Kal Tire does much more than just tires at its 250 stores nationwide, also offering custom rims and certified mechanical services. Developed in partnership with the Vancouver Canucks and BC Hockey, Canucks Junior Golf Week has introduced thousands of British Columbia youth to golf since its inception in 2014, allowing children aged 5 and up to learn the sport’s fundamentals through certified instruction from PGA of BC Professionals for just $20. Dozens of single-day camps will be held in communities across BC during this year’s Canucks Junior Golf Week, running July 2-9. The program caters to beginner and novice golfers – approximately half of all children who have passed through the program had no prior golf experience – and equipment is provided for participants who do not have clubs of their own. Junior golfers attending a session also take home a number of great gifts, including an item branded with the Canucks logo. Participant registration will open in late April, but parents can learn more about this great grow-the-game initiative and pre-register now at www.pgabc.org/golfweek. With 250 locations across the Country, Kal Tire is Canada’s largest indepdendent tire dealers. Since the beginning—when we opened our first store in Vernon, BC, in 1953 — Kal Tire has been committed to building a strong company as well as strong communities for our team members and customers. Across Canada and around the world, Kal supports hundreds of local organizations and engage our teams in fundraising to help to make our communities stronger. Being involved at the grassroots level is just a part of our culture. The Professional Golfers' Association of British Columbia is an association comprised of nearly 700 Golf Professionals who work at and operate golf courses, driving ranges and other facilities across the province. Its mandate is to promote and advance the game of golf, serving the needs of both its membership and the golf public through professional and junior golf development programs and high-calibre competitive events.